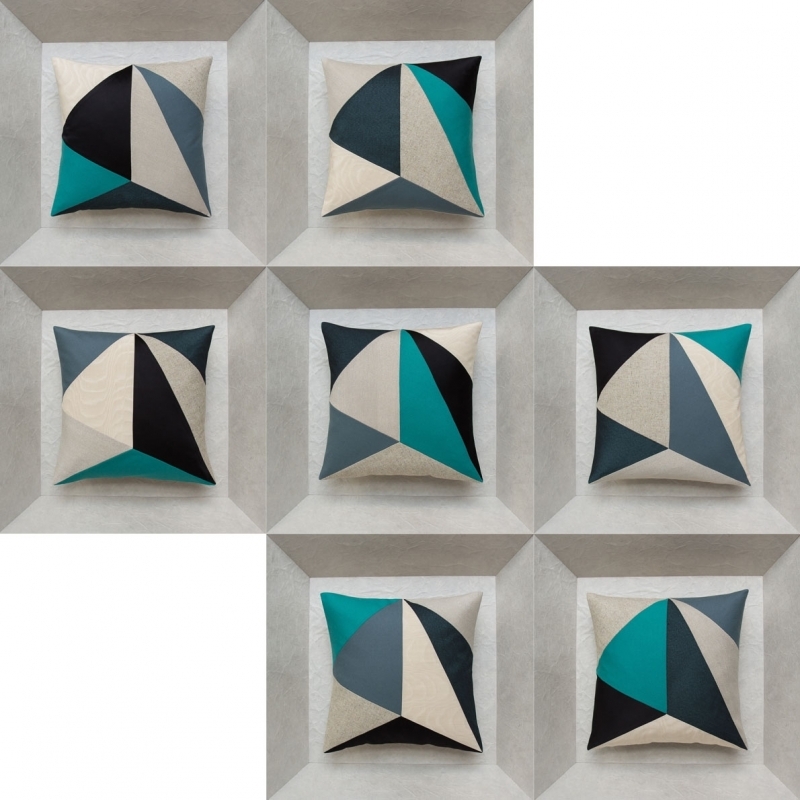 Keep the Christmas spirit in your living room with this set of 7 unique and complementary "Christmas" cushions whose subtle modern shades add a distinguished, contemporary holiday spirit. 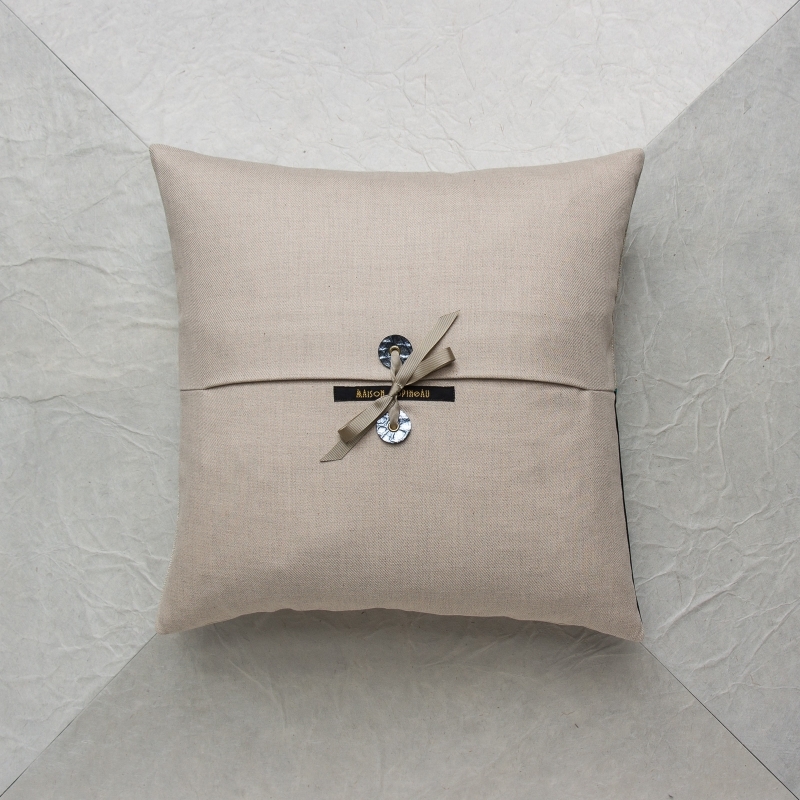 Arrange these elegant cushions on your sofa like stockings hung by the chimney for Christmas everyday in your living room. 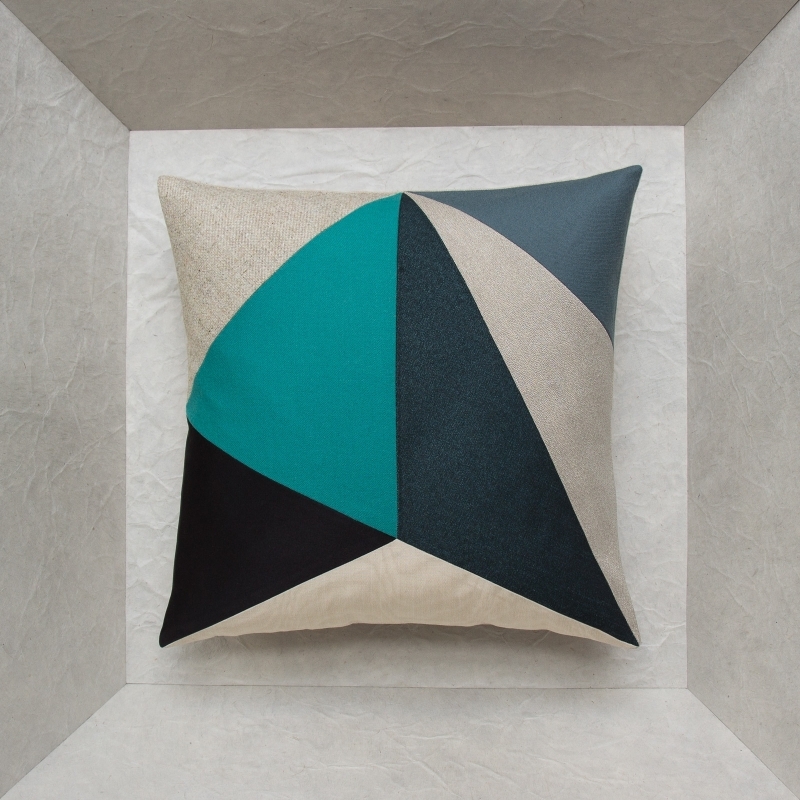 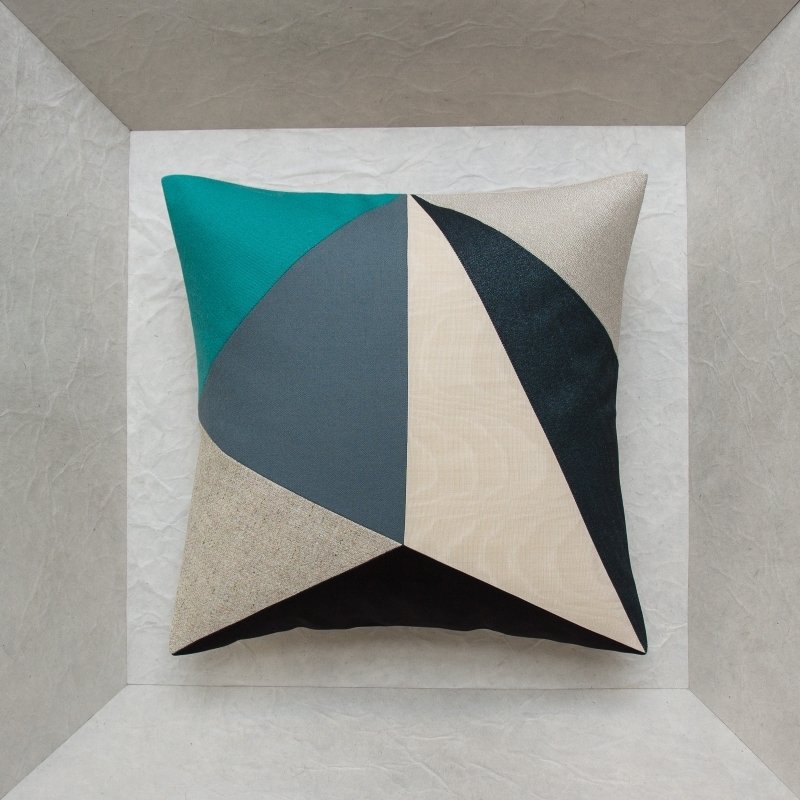 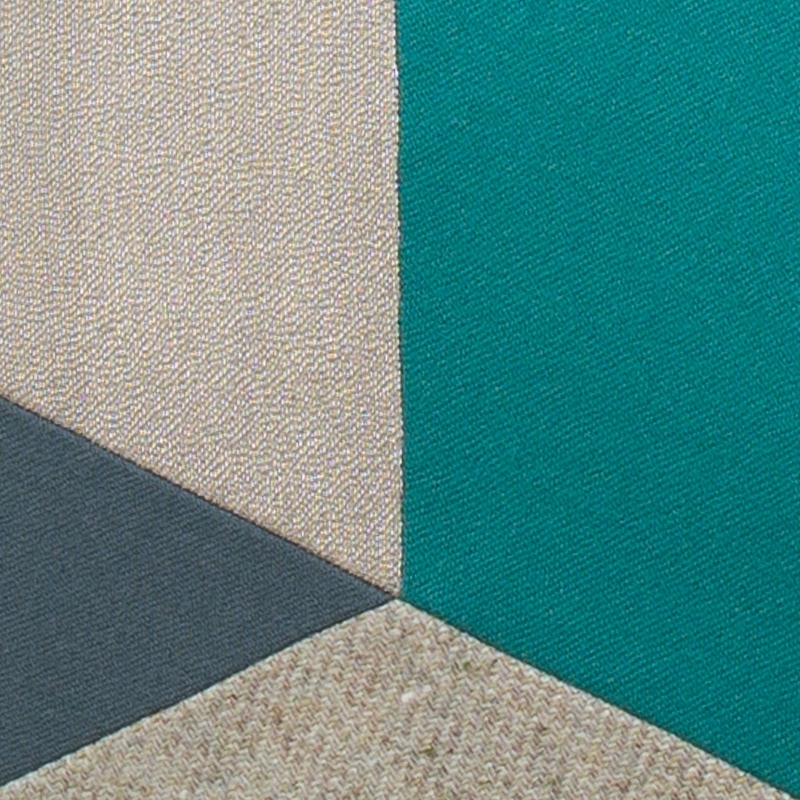 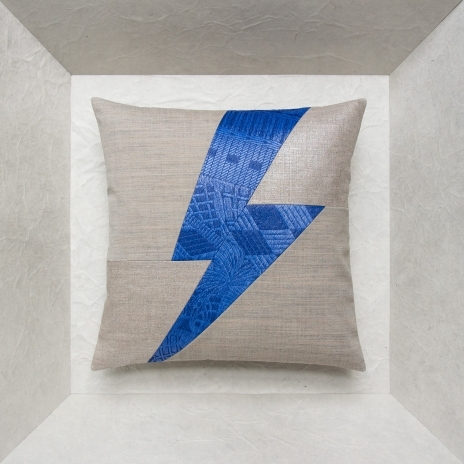 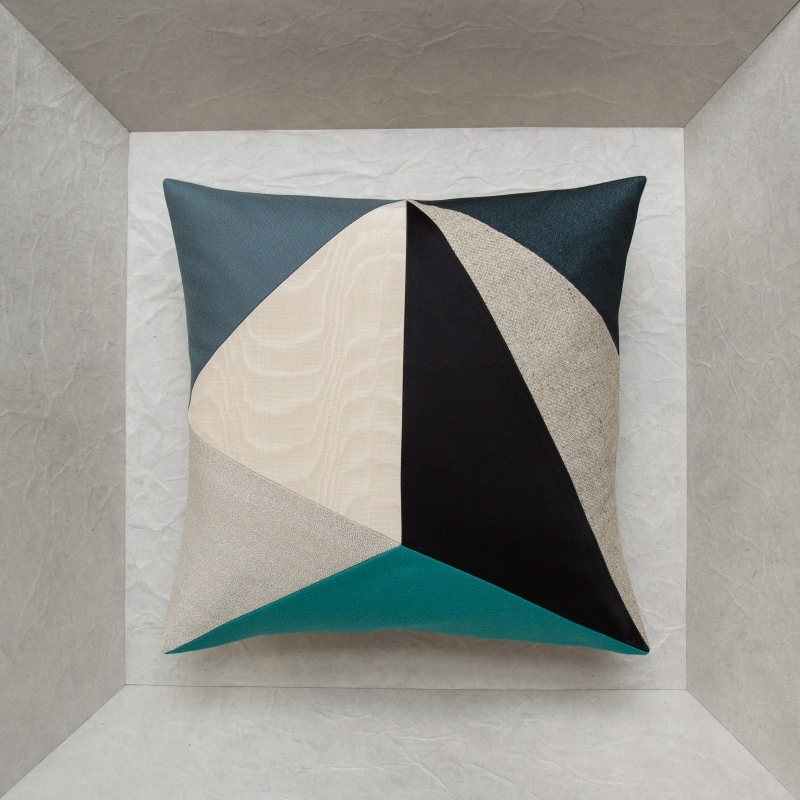 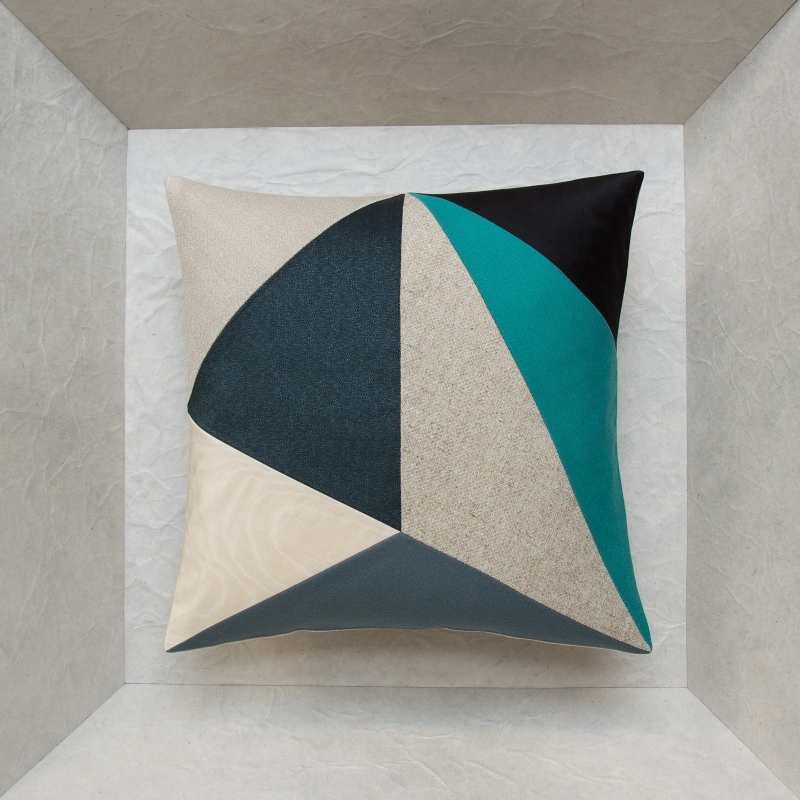 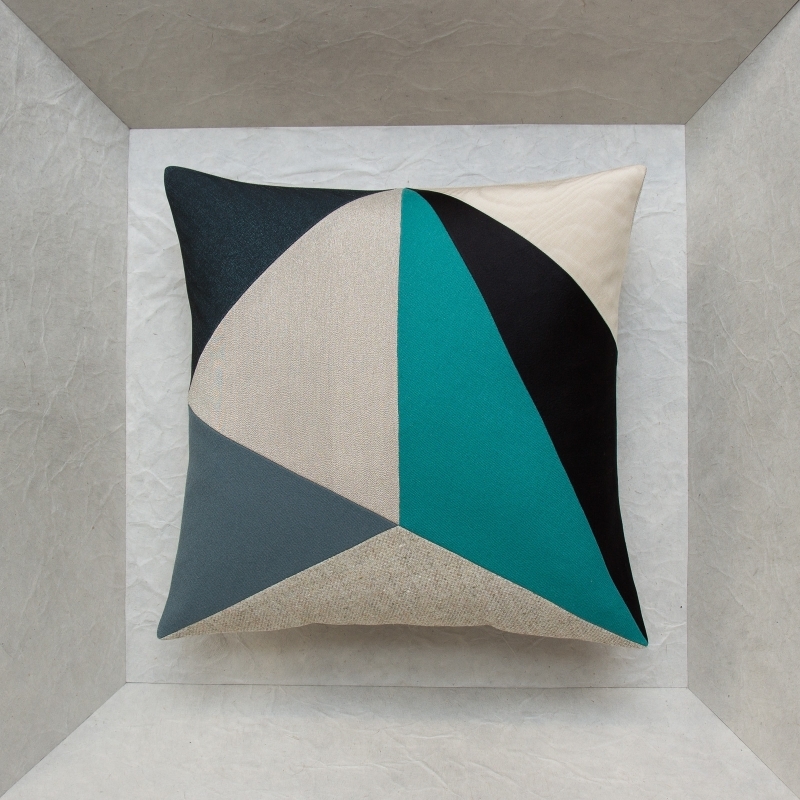 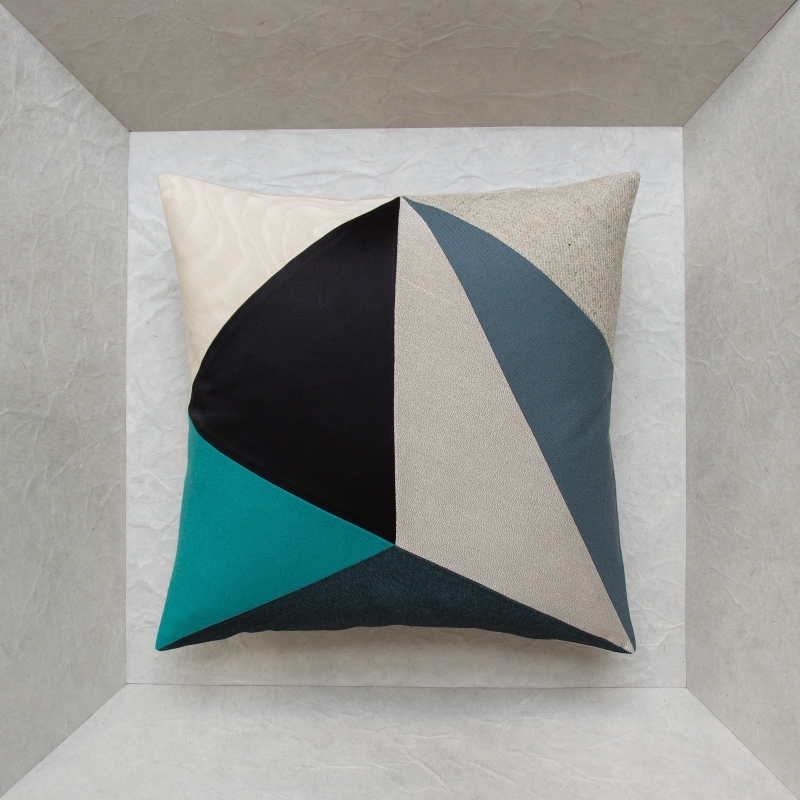 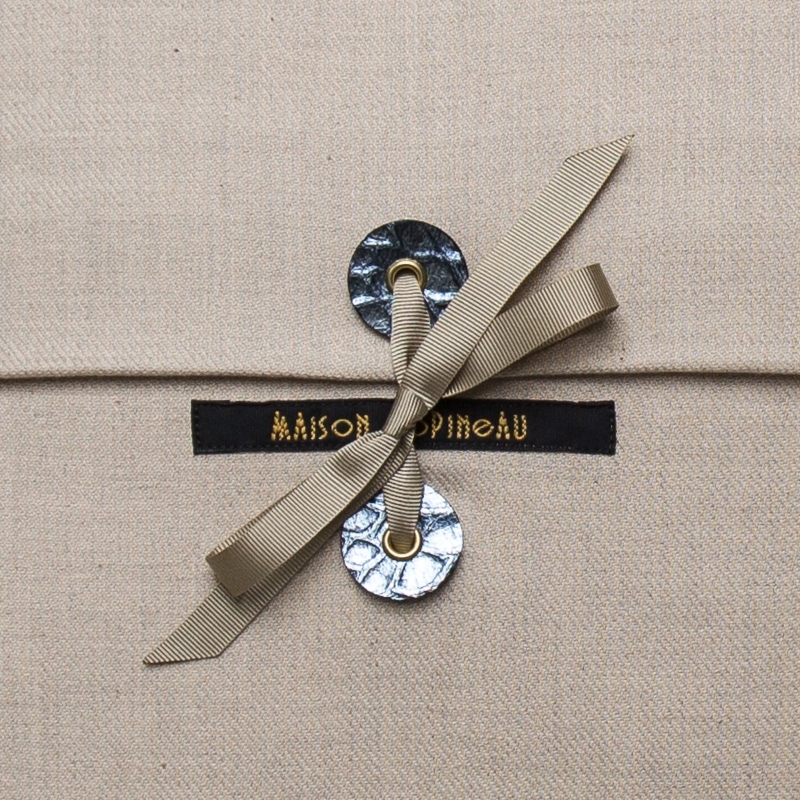 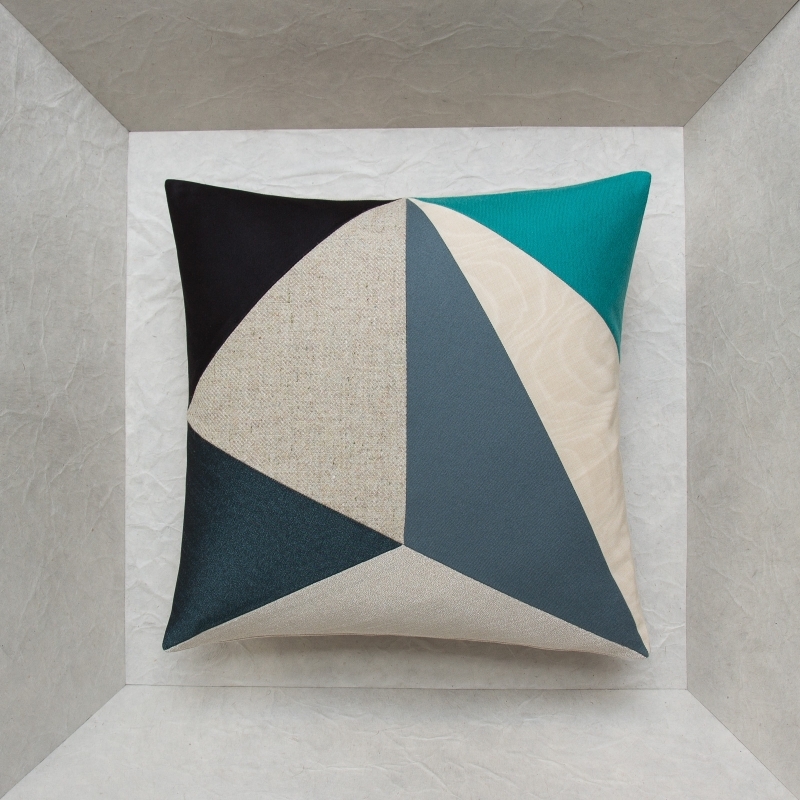 The front of each of the 7 cushions has petrol blue polyester ottoman, vintage silver wool, teal blue wool, black satin silk crepe, ivory moiré, grey-blue wool and heathered raw wool fabric.